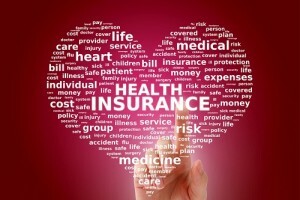 What is a health insurance broker? How can their services benefit expats and what is the difference between a broker and a comparison website? These questions were put to Jorien Jansen, the Senior Consultant at Expat Assure, insurance broker specialising in international health insurance for companies and individuals. How would you describe the services of an insurance broker? An insurance broker acts as an intermediate between the insurance company and the client. They always act on the behalf of their clients while helping them to find the best possible health insurance plan. Brokers also offer customers detailed research and ongoing support. What is the difference between using a comparison site and an insurance broker? The comparison site will provide you with a quote based on the answers given to fairly basic questions. The comparison site will offer the client the best available premiums which in many cases is not really a true comparison. People are drawn in by the offers which appear attractive on the surface, only to discover that it is full of loopholes which the client may have overlooked. This is often a result of poor explanation or lack of understanding, such as payment arrangements, excesses or deductibles, additional tax charges and waiting periods. This is where the broker really can help because they can offer the added value of personal advice. A broker can create a fully comprehensible comparison table which can be adjusted to the needs of their clients. What are the advantages of choosing an independent broker for an expat? The main advantage I would say is that with an independent broker, you can guarantee that you are receiving independent and unbiased advice that has not been manipulated by the governing insurance company. With an independent broker you have the option to receive help and guidance customised to your needs. Also, an independent broker is more able to fit the proposals to the clients’ needs and get the best possible offer. Furthermore, the brokerage can strengthen relationships with the companies they work with. This means that, if the brokerage is on good terms with the insurance company, there are possibilities to negotiate better terms and solve the problems faster. This is hugely beneficial for the client. Are there any restrictions for expats in terms of the choice of insurance companies? There are definitely some restrictions regarding some countries. Some insurance companies cannot operate in certain countries, but it is also possible that the legislation of the country will not allow the client to have an international cover and they are obliged to take a local compliant product. It is always a good idea to look into the legislations of different countries yourself. However, it is also the broker’s duty to be aware of all of these differences. Insurance brokers research many countries so that they can offer advice on this topic and make sure that the solutions they offer are in line with the local legislation. Can expats benefit from discounts or offers through using a brokerage? The premium for an individual would be the same whether they go directly to the insurance company or they go to a broker. As discussed earlier, the broker can use their relationship with the insurance companies in order to negotiate different aspects of the policy, such as acceptance terms if needed, as well as offering ongoing support.